Will the Real Russia Please Stand Up? Karen, a long-time reader of this blog, asked a question about Isabella’s novel, Interrupted. The first instance occurs when our heroine, Claire Benedict, and her Sunday school class take it upon themselves to renovate the church, and they turn their attention to fixing up the cast-iron stove that heats the sanctuary. That’s the first mention of “Russia” in the book, referring to the pipes that vent the stove. 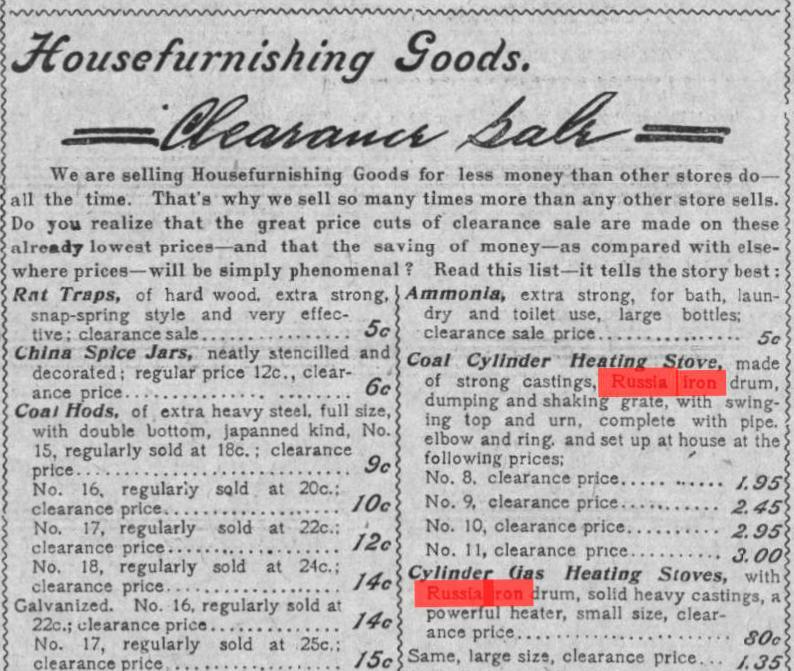 An 1899 newspaper ad for Siegel Cooper Department Store (New York) featuring Russia iron heating stoves. And really, the stove pipe, though it wandered about according to some wild freak that was considered necessary in order to “draw,” did not look so objectionable now that it was real Russia; and nothing could glow more brilliantly than the stove, which smoked no more. No wonder Karen was curious! “Real Russia”—whatever that is—played a big role in the ladies’ efforts to beautify the sanctuary. 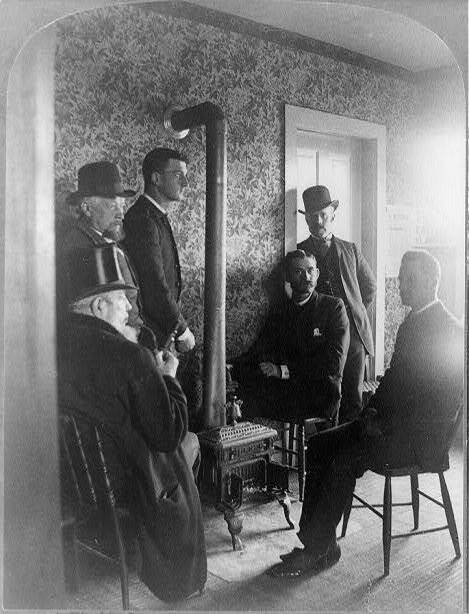 Men gathered around a cast iron heating stove in 1886. So, what was “real Russia”? Isabella was referring to Russia iron. It was produced in Russia and was highly prized throughout the world for its ability to resist rusting and protect engines, boilers and stoves. Another key feature that made Russia iron the wonder of its time was that it did not flake or lose any of its protective properties when it was bent, as American iron did. For many years Russia iron could only be obtained from Russia. The manufacturing process was highly secretive, which kept demand high and prices even higher. 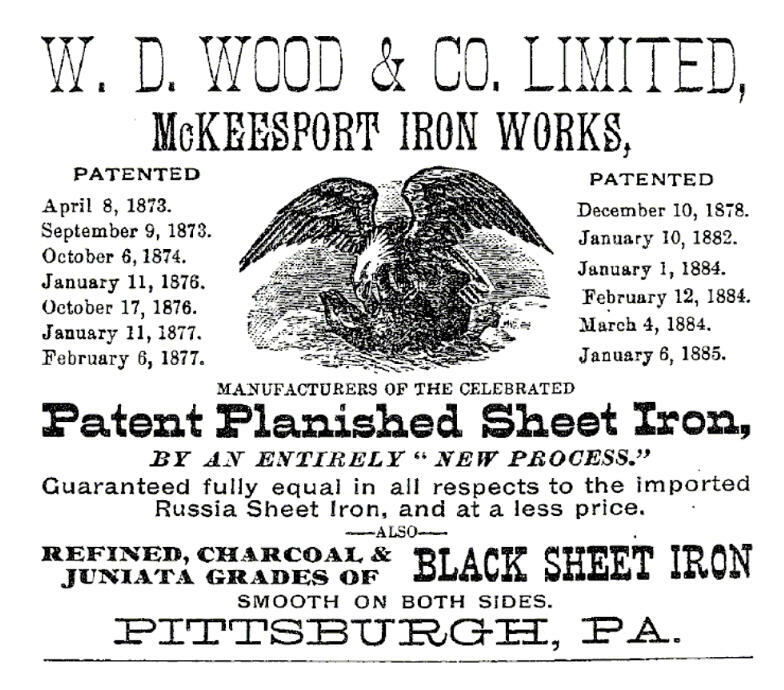 In the mid-1800s American engineers finally cracked the code for manufacturing Russia iron; and by the latter part of the century, American foundries were gearing up to produce their own version of the much-sought-after sheet iron. Ad from Pittsburgh and Western Pennsylvania-Their Industries and Commerce, published in 1885 by the Pittsburgh Chamber of Commerce; found at Penn state Universities library. There was, after all, real money to be made from such a product. 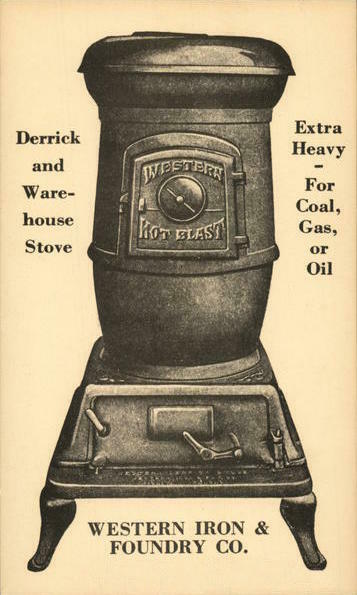 Sheet iron was used in the manufacture of many things, such as parlor stoves and cooking ranges. 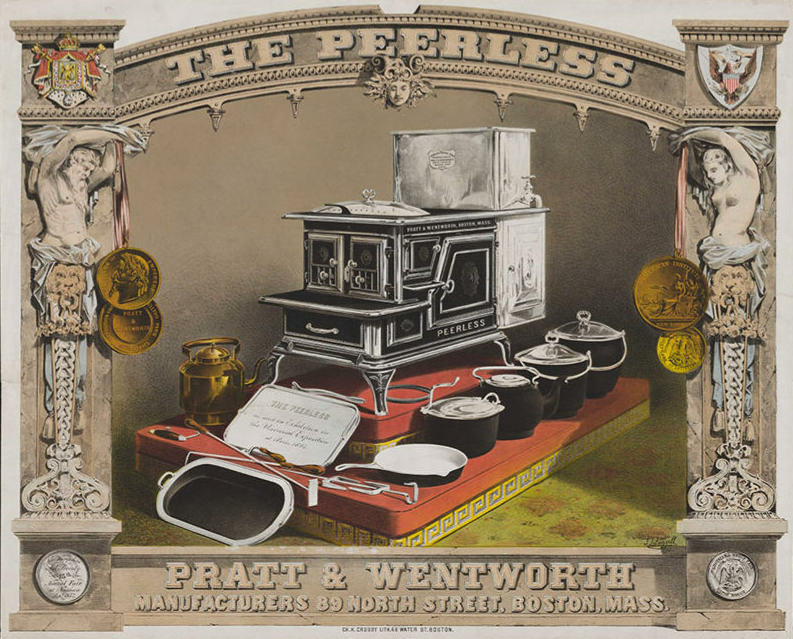 An 1867 ad for Peerless kitchen stoves. In addition to stoves, consumers used iron pots and pans on their iron cooking ranges. 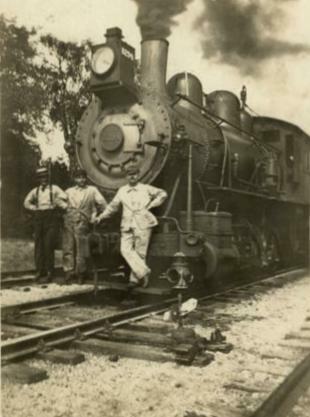 Commercially, sheet iron was used to clad boilers and the engines on locomotives. 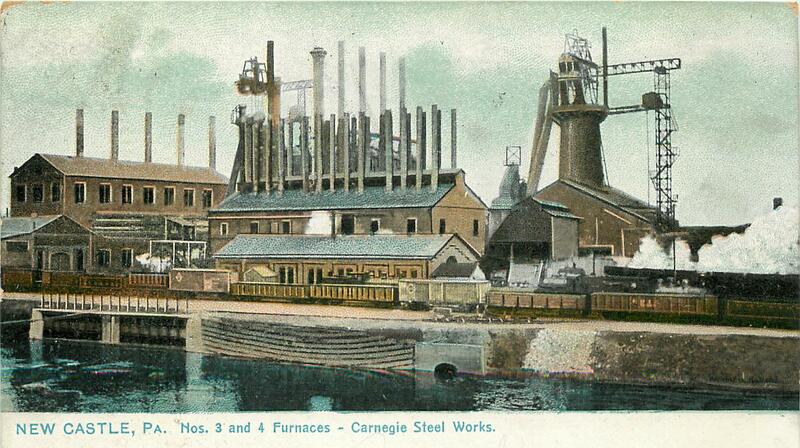 A 1906 postcard showing a portion of the sprawling Carnegie Steel Works in New Castle, Pennsylvania. But as more and more American-made products began to be advertised as made of Russia iron, consumers had a difficult time distinguishing between “real Russia” and the imitation. In many cases, the only way to tell the difference between the genuine product and the American version was to find the tell-tale Cyrillic characters embossed on the original full sheets of iron. Click here to see a sample of those Russian characters. 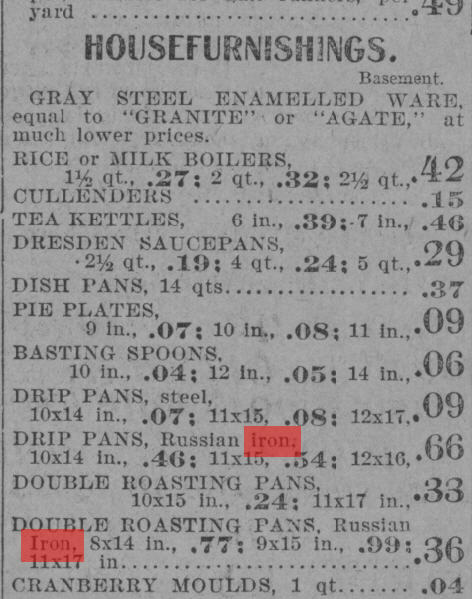 It took many years for American industry to overcome the stigma of producing “imitation” Russia iron; but in 1885, when Interrupted was written, Russia iron was still the gold standard by which all other iron was measured. So when Isabella wrote that the stove pipes in the church were made of “real Russia,” she was actually commenting on the high quality of the improvements Claire Benedict and her friends made to the church sanctuary. Would you like to learn all the ways Claire and her friends beautified the church sanctuary in Interrupted? Click here to read the post. You can also read about other unique terms Isabella used in her different novels. 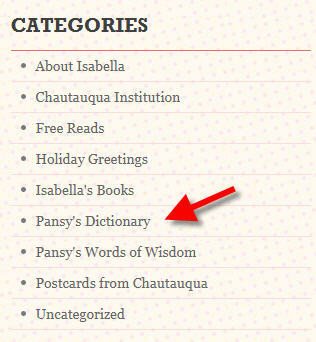 Just click on “Pansy’s Dictionary” under the Categories header on the right side of this page.